It’s finally here. Today we’re launching Catch the Bus Week (#CTBW), our annual celebration of the benefits of the bus. Catch the Bus Week continues to go from strength to strength, and this year promises to be bigger than ever with hundreds of bus companies, passenger organisations, Members of Parliament and local authorities coming together to run events and competitions encouraging people to leave the car at home and hop on the bus instead. Greener Journeys and our partners right across the country have been working hard over recent months to prepare for this year’s event. From Newcastle to Somerset, from Pontypridd to Brixton, this week will be a truly national celebration of the bus. From singing councillors on the bus in Frome to regional roadshows in Maidstone, Leicester, Leeds, Luton and more – there is so much going on. We are particularly pleased to have the support of so many Members of Parliament and local councillors who have organised local bus surgeries to discuss people’s concerns and how we can help improve services to make catching the bus even better. We are also delighted to confirm that, like last year, we once again have the strong support of the Buses Minister, Andrew Jones MP. He will be joining industry leaders and the Greener Journeys team on Wednesday to celebrate Catch the Bus Week at Brixton Bus Depot. We have even arranged for the Minister to have a bus driving lesson from the experts; keep an eye out for the pictures! 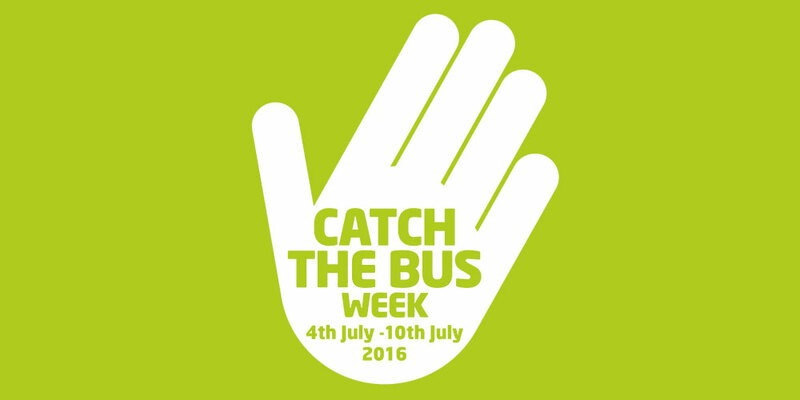 Catch the Bus Week is now in its fourth year but remains as important as ever. Buses are Britain’s most widely used mode of public transport but despite being absolutely vital to our society and our economy, they rarely get the recognition they deserve from the media and the public. Buses carry millions of people to work, places of education, town centres and to visit friends and family. Travelling by bus is great for your health, boosts your local economy and is great for the environment. A recent study by Greener Journeys shows the link between growing levels of congestion and increasing bus journey times leading to fewer people choosing to catch the bus each year. That’s why Catch the Bus Week is so important – we need as many people as possible to get out of their cars and hop on the bus. But if this week is to be a success we need your help. We need as many people as possible to hear about Catch the Bus Week and the fun activities happening across the country. The easiest way to show your support and celebrate the bus is to take to social media. You can use the hashtag #CTBW to share your experiences and photos of catching the bus. Our @GreenerJourneys twitter team will be sharing some of the best snaps and stories throughout the week. This is a great opportunity to show the nation the benefits of getting the bus. So, grab your smartphone, hop on a bus, and join in! For more information about ideas or ways to get involved, please visit www.catchthebusweek.co.uk and get in touch via contact@greenerjourneys.com and let us know how you plan to celebrate Catch the Bus Week.